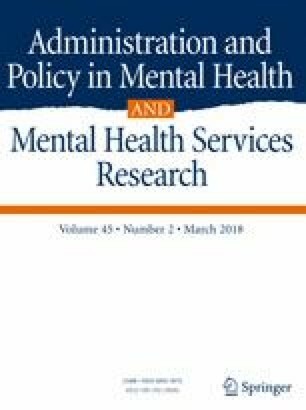 This systematic review evaluates efforts to date to involve community health workers (CHWs) in delivering evidence-based mental health interventions to underserved communities in the United States and in low- and middle-income countries. Forty-three articles (39 trials) were reviewed to characterize the background characteristics of CHW, their role in intervention delivery, the types of interventions they delivered, and the implementation supports they received. The majority of trials found that CHW-delivered interventions led to symptom reduction. Training CHWs to support the delivery of evidence-based practices may help to address mental health disparities. Areas for future research as well as clinical and policy implications are discussed. Funding for this project was supported by NIMH K01MH110608 (Barnett). *Bolton, P., Lee, C., Haroz, E. E., Murray, L., Dorsey, S., Robinson, C., et al. (2014b). A transdiagnostic community-based mental health treatment for comorbid disorders: development and outcomes of a randomized controlled trial among Burmese refugees in Thailand. PloS Med,.doi: 10.1371/journal.pmed.1001757. TF-CBT Certification Criteria Retrieved October 11, 2016 from https://tfcbt.org/tf-cbt-certification-criteria/.